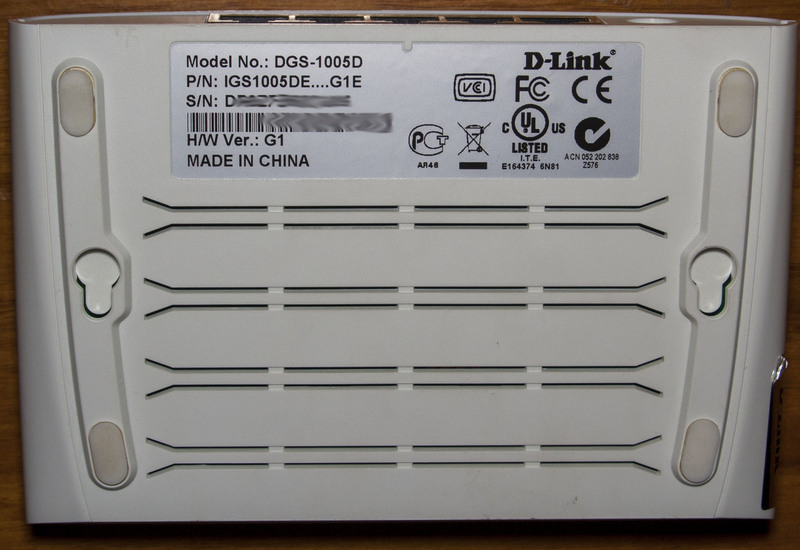 A quick one, today we’ll be taking a look at D-Link 5-Port 10/100/1000 Unmanaged Switch (DGS-1005D) which is a simple 5 port gigabit switch. Two screws later and we’re in. 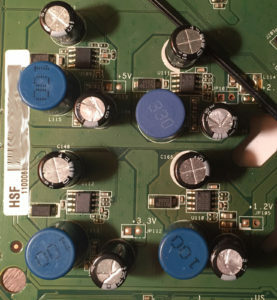 We have 5V/1A input to the switch, a single 470uF electrolic capacitor and two DC-DC converters, a small SOT23-6 (E9=A13) and a Richtek RT8282A (0.8V to 20V output adjustable), good to see this chip in use (as I use a similar one too), but a bit odd that they have a diode on the inductor as it isn’t required with this chip (uses internal switching mosfets), are they looking to reduce the heat on the chip? 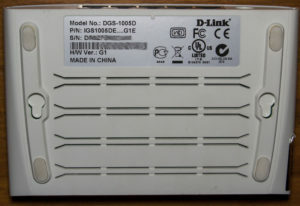 PCB date code is 19th week, 2011. 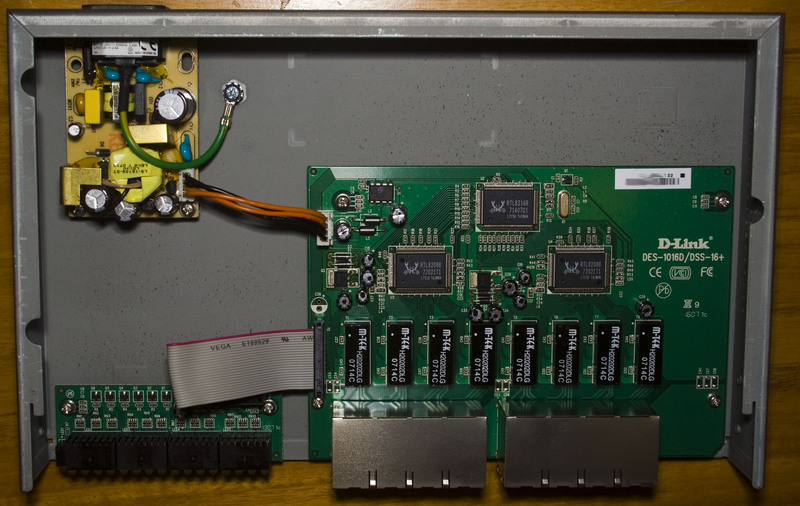 Today we’ll be taking a look at Toshiba Hi-Speed Port Replicator II (PA3916A-1PRP), a docking station for Toshiba laptops which has 2x USB3.0, 4x USB2.0, Gigabit NIC, audio in/out, serial, VGA and HDMI/Displayport. 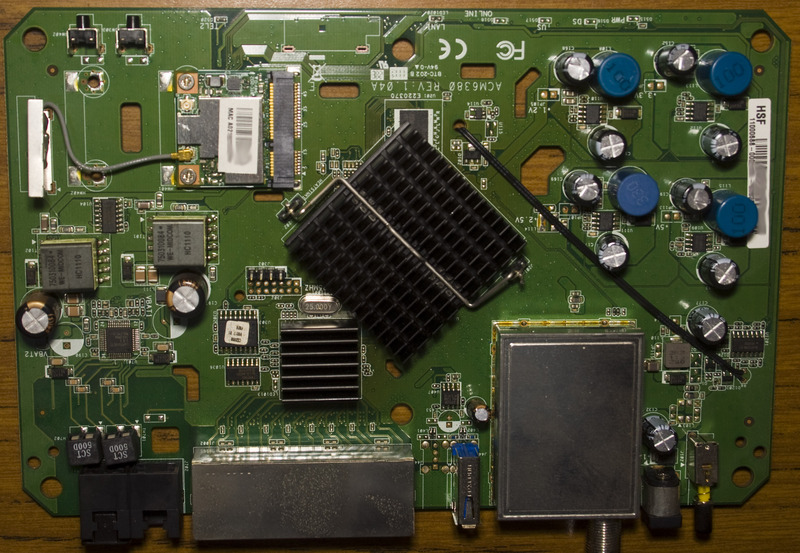 A lot of screws later and we’re in, well sort of. 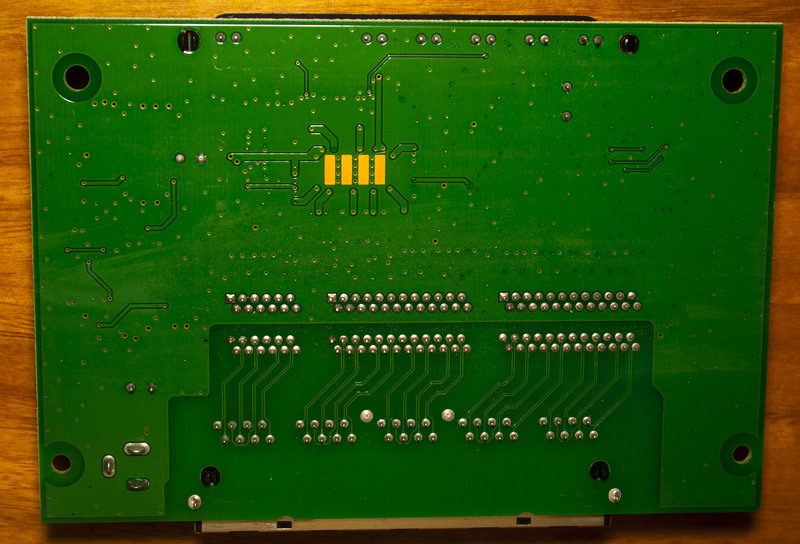 The whole PCB is completely shielded, we have some copper sheets on the outside plastic covers and we can see how the eject lever works. 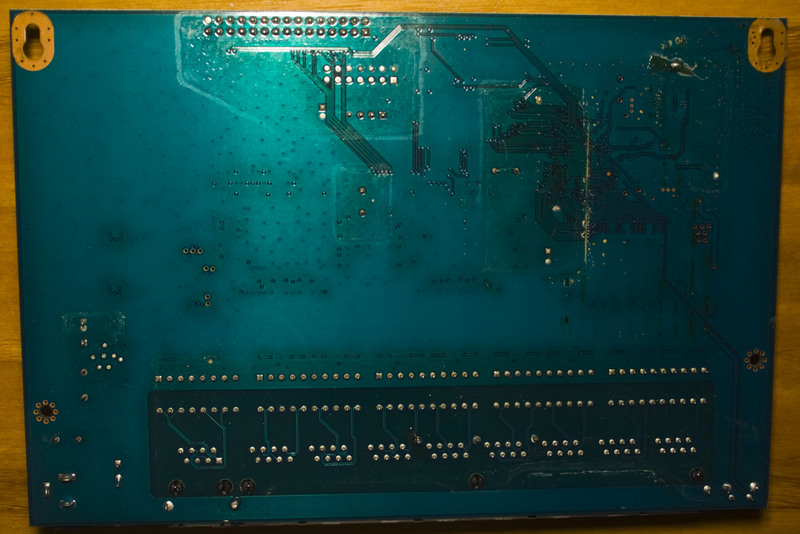 A lot more screws later and we’re really in, it looks nicely laid out. 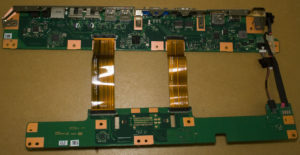 We have the power connector with wires going down to the 2nd board, another power cable coming back to the first board plus 2 flat flex cables. 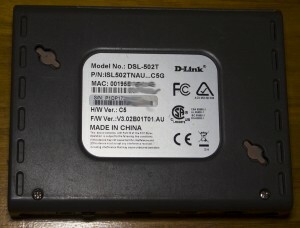 PCB date code is 45th week of 2013. Today we’ll be taking a look at Netgear ProSafe 8 Port 10/100 Switch with 4 Port POE (FS108P) which is an 8 port switch with standard 4x 10/100 ports and 4x 10/100 ports with POE. 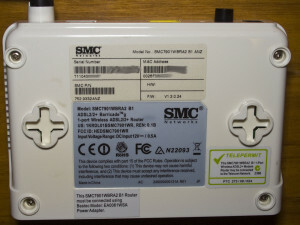 This would be one of the first POE switches I’ve looked at. 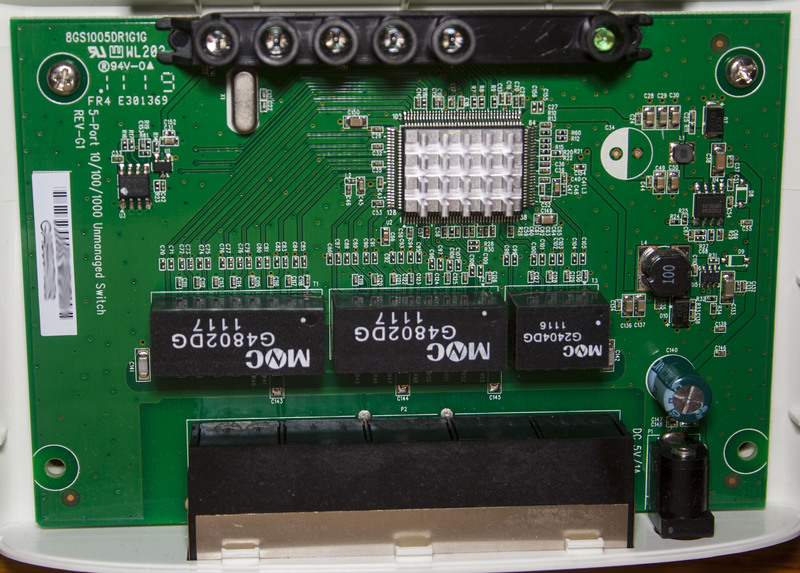 – Instead of being powered by a 12V adapter it’s powered with an 48V adapter so that’s an easy solution to solve the voltage required for the POE ports. 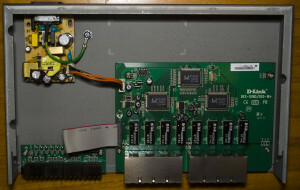 – They are using a DIP microcontroller, I don’t think I’ve seen a DIP MCU in a switch before. 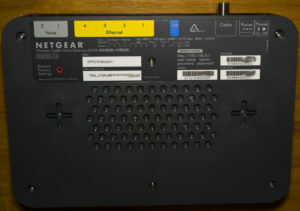 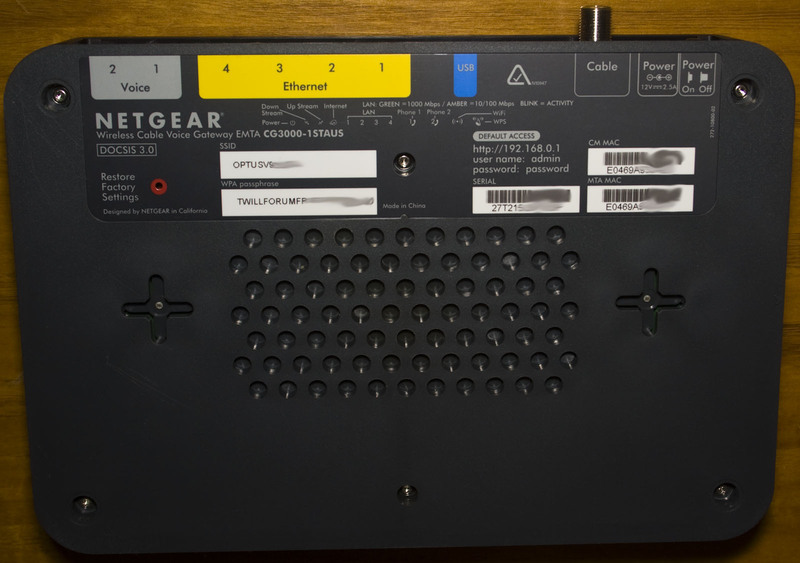 Today we’ll be taking a look at Netgear Wireless Cable Voice Gateway (CG3000-1STAUS) which has 4x 10/100/1000 ports, a USB port, 2x voice ports and a cable coax port. 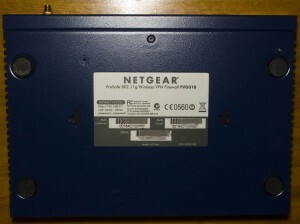 It’s one of the few routers that I’ve teared down which has gigabit network ports and the USB functionality isn’t available according to the sticker placed on top of it so a future firmware may enable it, I guess they had to rush these units out. 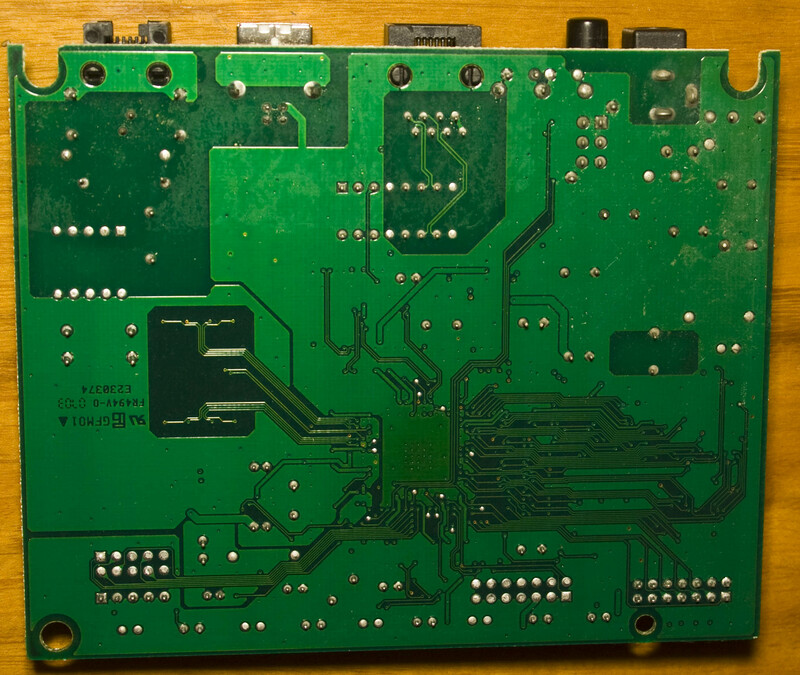 I’ve changed the teardown format a little bit so it flows a bit better. Six torque screws later and we’re in. 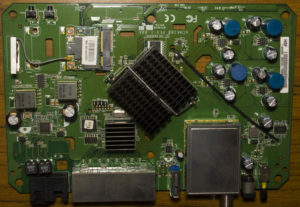 There a few things that stand out from the usual routers I’ve seen, first is the pretty big heatsink on the main chip, we also have a RF can for the cable input and a temperature sensor cable going to the back of the main chip, must get pretty hot. 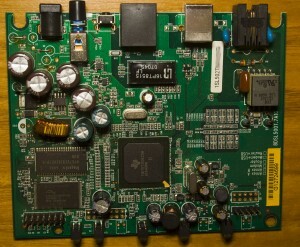 PCB date code is 17th week of 2011. There are 4 DC-DC converters (3x MP2807DN, 1x 71981A/LAB8103) and the inductors look strange, they are in a plastic type package and for the DC-DCs they do have the silkscreen showing the different voltages so that’s nice. Capacitors are a mix of Nichicon and Rubycon for the DC-DCs but they have Lelon ones for the voice lines. 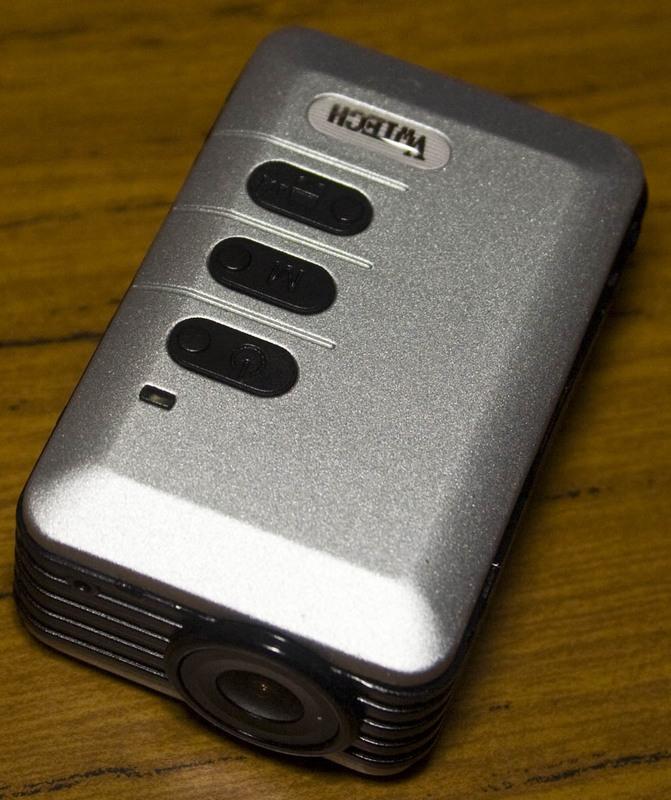 Today we’ll be taking a look at a low cost Action Cam, the VWTech VW898 ActionCam which does 1080p @ 30fps, 720p @ 60fps with a 135 degree wide angle lens cost me $35 AUD from Ebay which is about half the price of a Mobius ActionCam. I decided to buy this after my Turnigy camera stopped recording audio, the price was good and if the quality wasn’t good I could use this camera for something else. 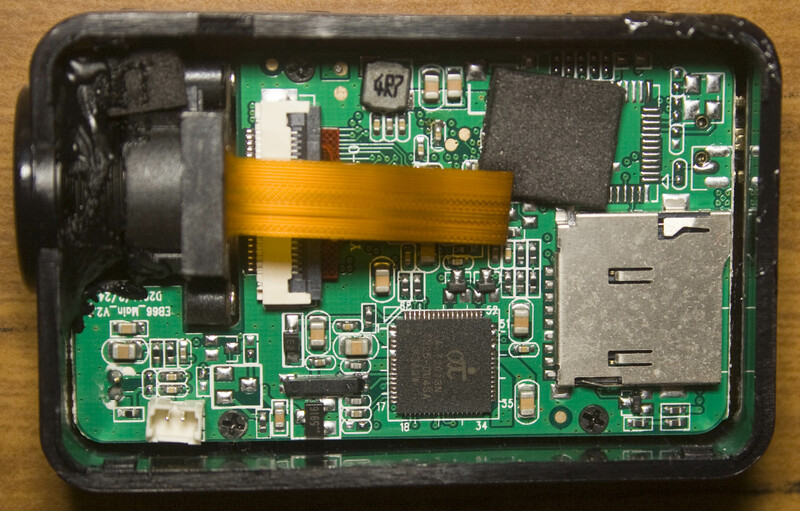 This camera is quite heavy, mostly it’s the 2 outer shells which combined weighs 33 grams. 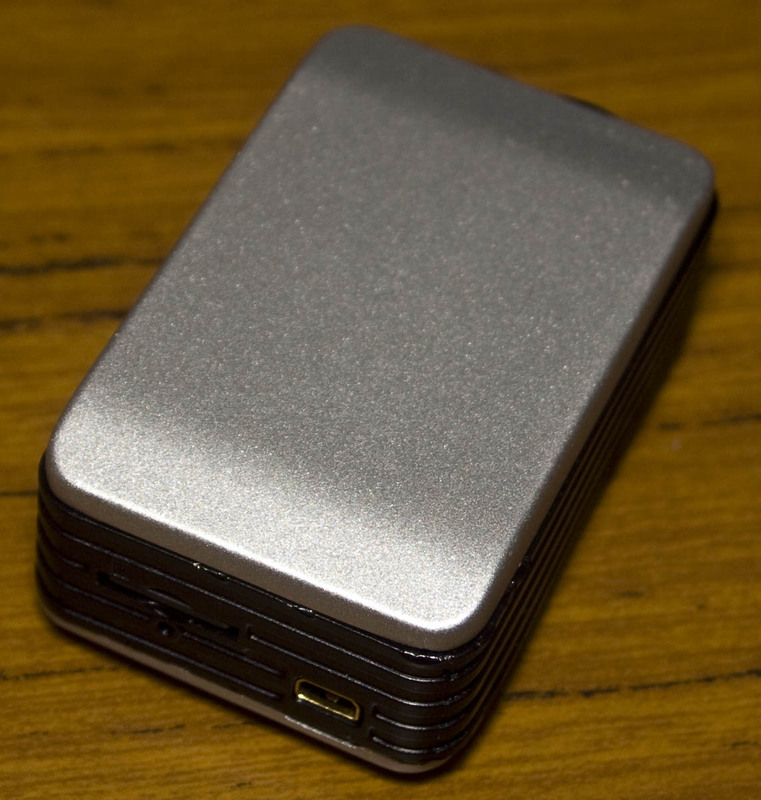 Once we pop those out, the camera weighs 31 grams. 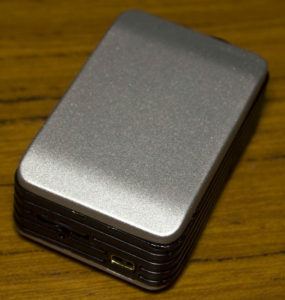 The shell not only protects the device but has some foam to keep the camera in place otherwise it can move a little bit. I do prefer the Turnigy’s 185 degree lens over the 135 degree lens and you have to boost the audio up quite a lot in post processing but anyway, on to the teardown. 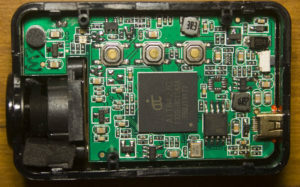 The build quality is ok for this cheap camera, it’s a 3 chip solution and we have 3 small SOT23-5 DC-DC converters and the camera is glued in place; apart from that there isn’t a whole lot to see. 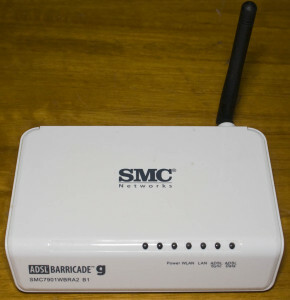 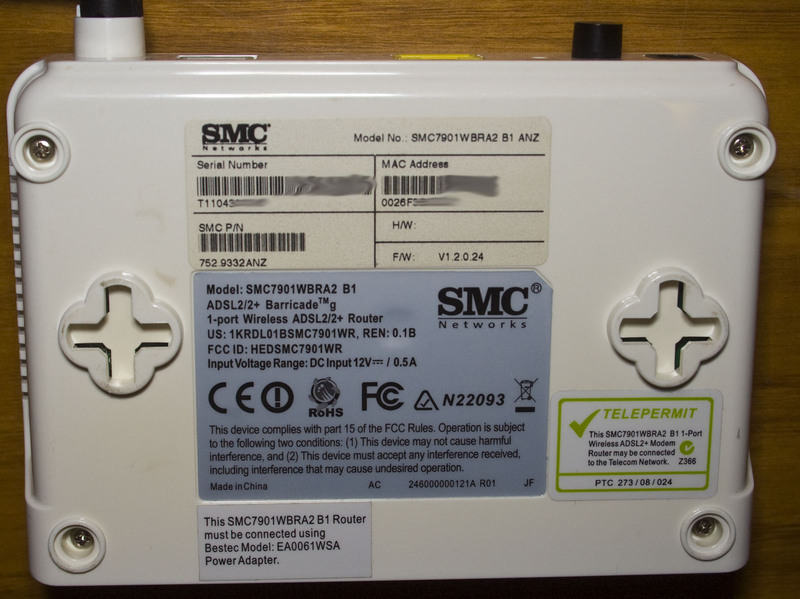 Today we’ll be taking a look at a router, the SMC Networks ADSL2/2+ Barricade G Wireless Modem/Router (SMC7901WBEA2 B1) which is a 1 LAN Port Wireless ADSL2Modem/Router in a small form factor compared to other routers but that’s mostly due to it having only 1 LAN port. 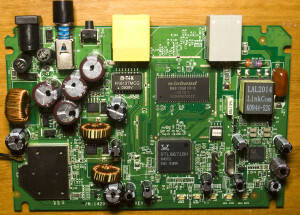 Four screws later, the top pops out and we’re in. 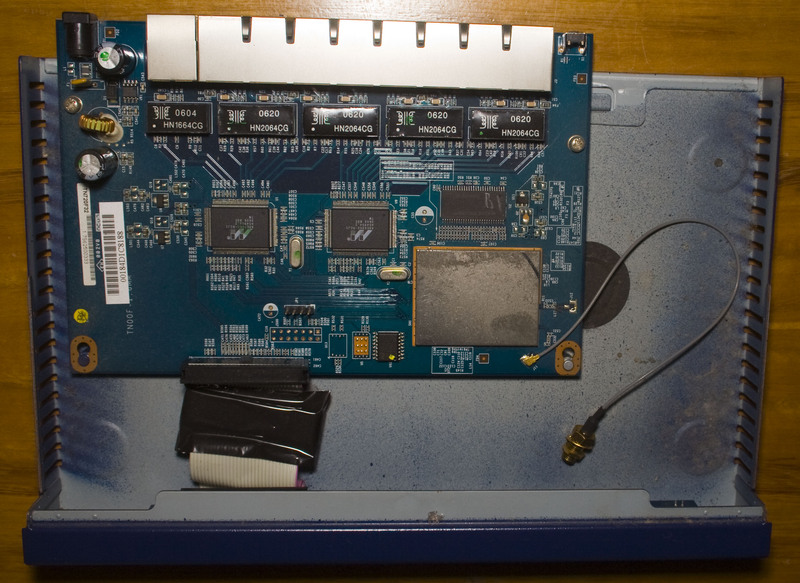 We’ve got 3 main chips plus the Wifi chip shielded with a fair bit of capacitors, 4x 16V 1000uF KMG branded caps near the input and we have 2x AP1534 and 1x AP34063 DC-DC converters, the inductors aren’t glued down at all. Interestingly there may have been the possibility to shield the SDRAM and one side of the SoC too, I guess it wasn’t needed. 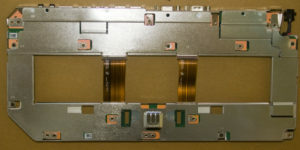 We have a u.FL connector going to the antenna. 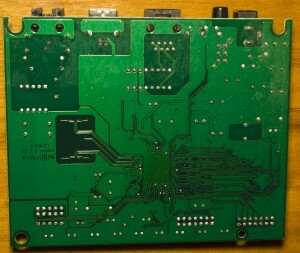 PCB date code is 46th week of 2009. 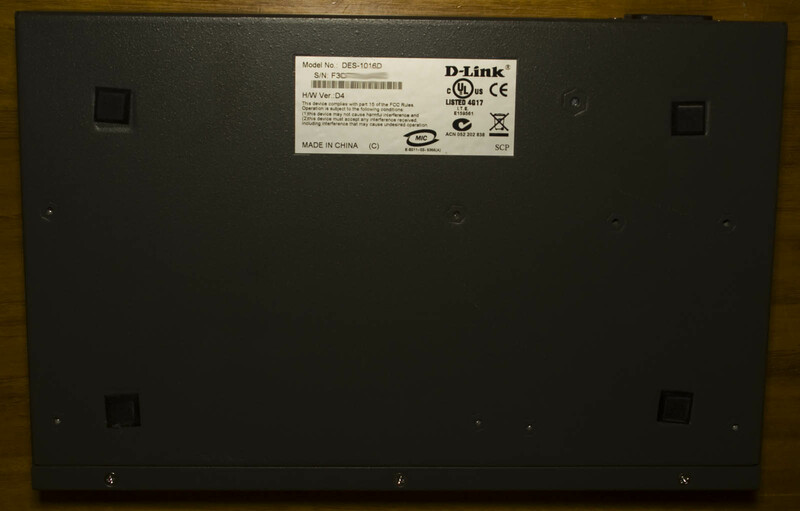 Today we’ll be taking a look at the D-Link 16-Port 10/100Mbps Desktop Switch (DES-1016D), it’s just a simple 16 port 10/100 switch and I don’t expect there to be too much going on inside just like we’ve seen with other switches. Three screws later and we’re in. 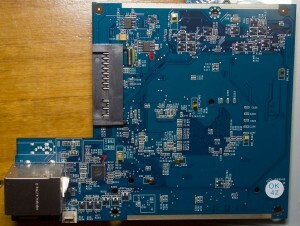 We have 3 separate boards, the power supply board taking the AC in which connects to the main board and then another small board for the LEDs. 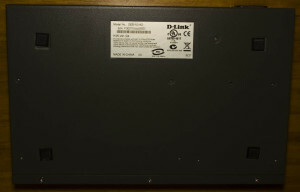 PCB date code is 16th week of 2007. 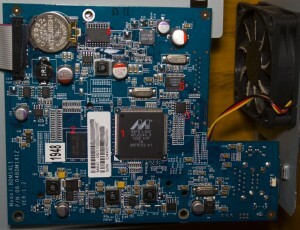 The power supply board looks decent with a clean design. 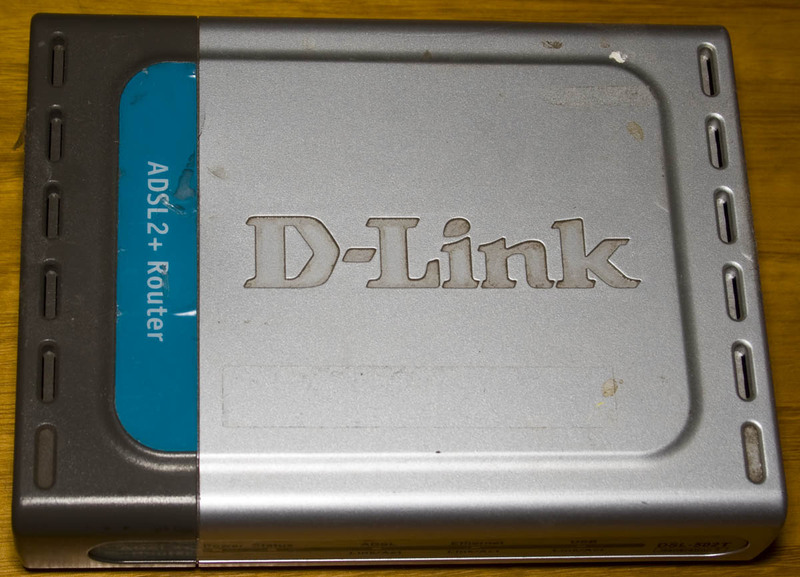 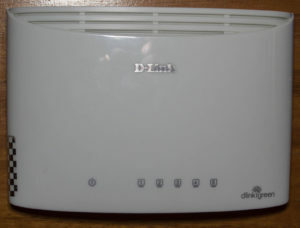 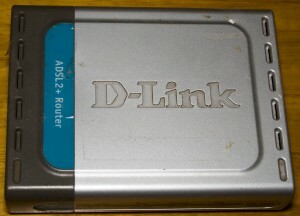 Today we’ve got another old device to look into, the D-Link DSL-502T ADSL2 Modem which is simple ADSL2 modem that has 10/100 Ethernet and USB. 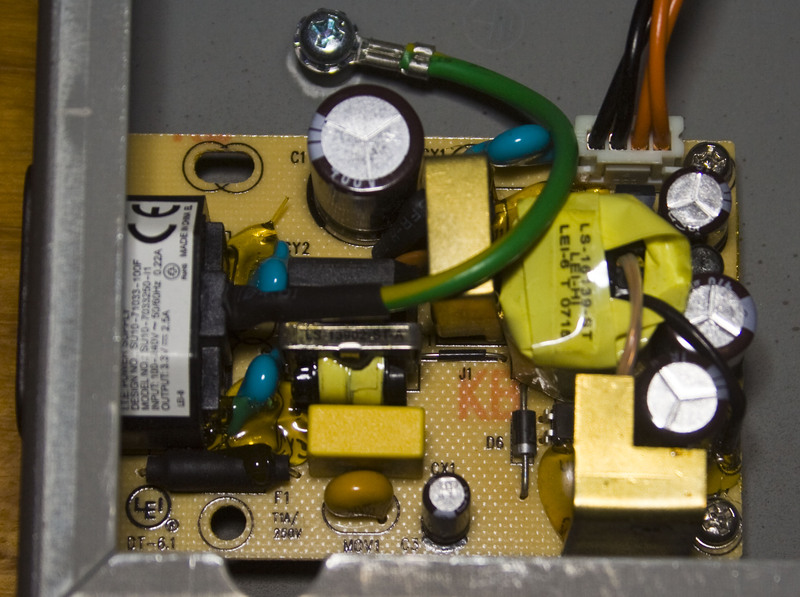 As with these old devices there’s lots of capacitors on board, we have 4x Everon 1000uF and 2x Taicon 220uF near the input and we have an AP34063 DC-DC with a reasonably sized inductor and it looks like the input DC jack was intended for an AC adapter so they just bypassed the diodes with links. 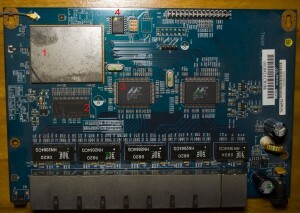 PCB date code is 7th week of 2003. 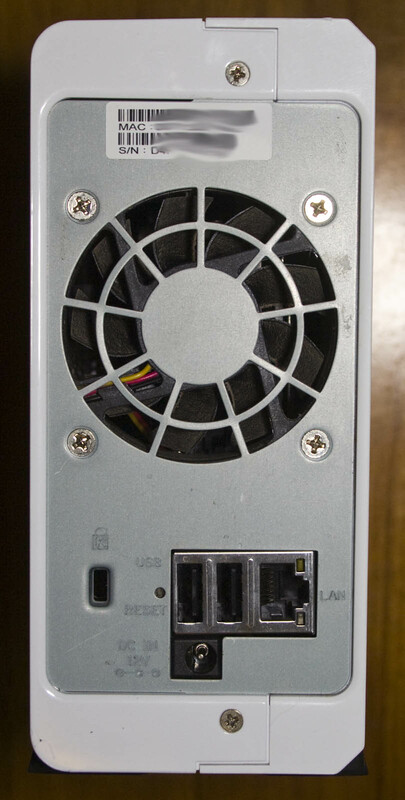 Today we’ll be taking a look at a modern device the Synology DS112J Single Bay NAS (Network Attached Storage) which contains a single hard drive with Gigabit Ethernet and 2x USB 2.0 ports. Most of the magic with this device is from the software called the DSM which is a easy to use interface and lets you install additional apps to it, like a download manager, camera surveillance, etc plus third party apps too. 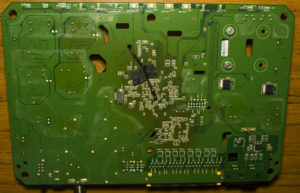 Just from the initial view, they spent the time to tape down the fan wire, be it for EMI or tidiness so we can assume there’s a good chance that the quality inside should be pretty good. 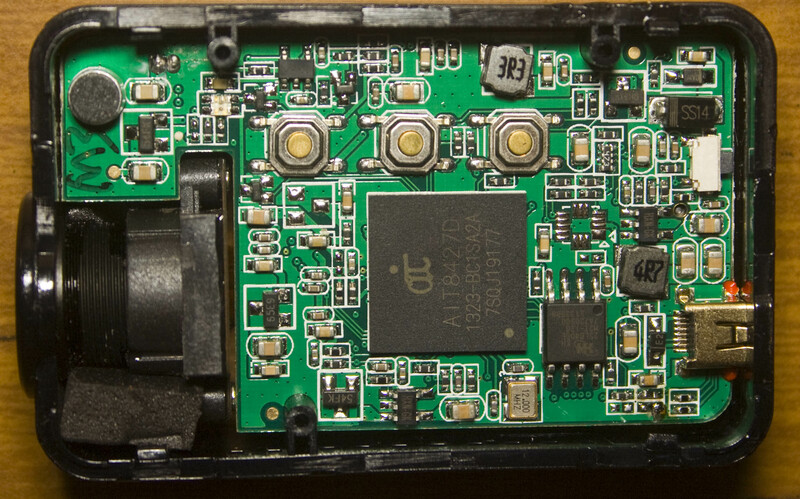 We’ve got quite a few DC-DC converters (FR9888, ZT1525) and what look to be some N/P mosfets too (AP4410GM / AP4953GM), one’s near the input jack near a diode possibly for some input protection and 2x P mosfets near a PWM driver chip (uP1504T). They’ve got a cable going to the front panel board tapped down too which just has some LEDs and a button and there’s also a SMD buzzer (AD-7504) which at first glance didn’t look like a buzzer. 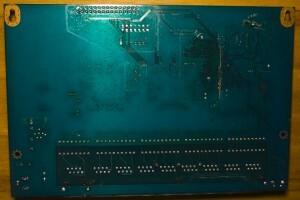 On the bottom board they have the RTC crystal glued down and have 7 little EMI pads touching the metal case. 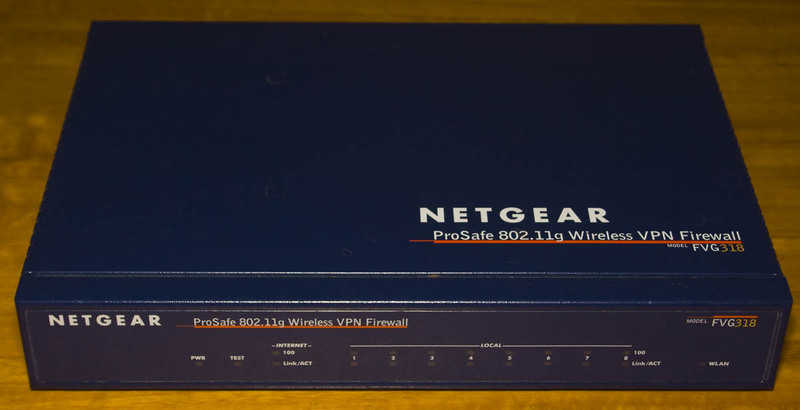 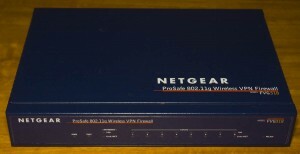 Today we’ll be taking a look at another old device the Netgear ProSafe 802.11g Wireless VPN Firewall (FVG318), it’s a Wireless b/g access point with 1x 10/100 Mbps WAN and 8 ports 10/100 Mbps LAN switch with SPI firewall, the ability to block addresses, services, protocols, keywords, with 8 IPSec VPN tunnels, etc. 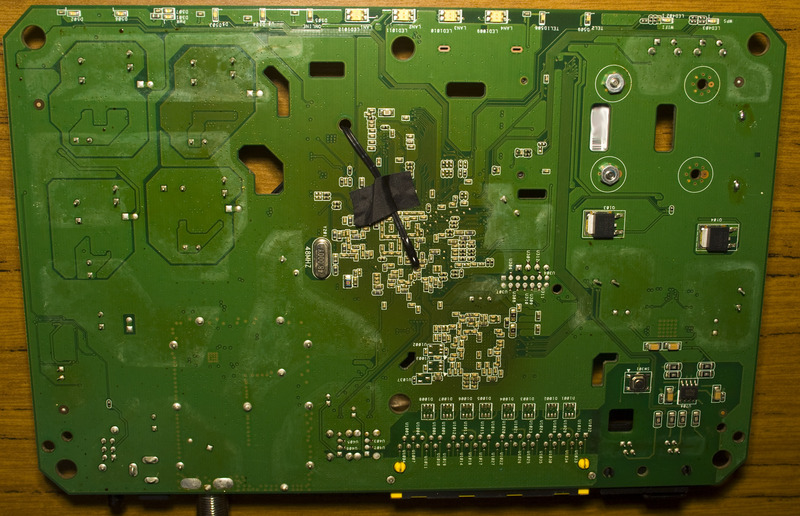 One screw later and we’re in. 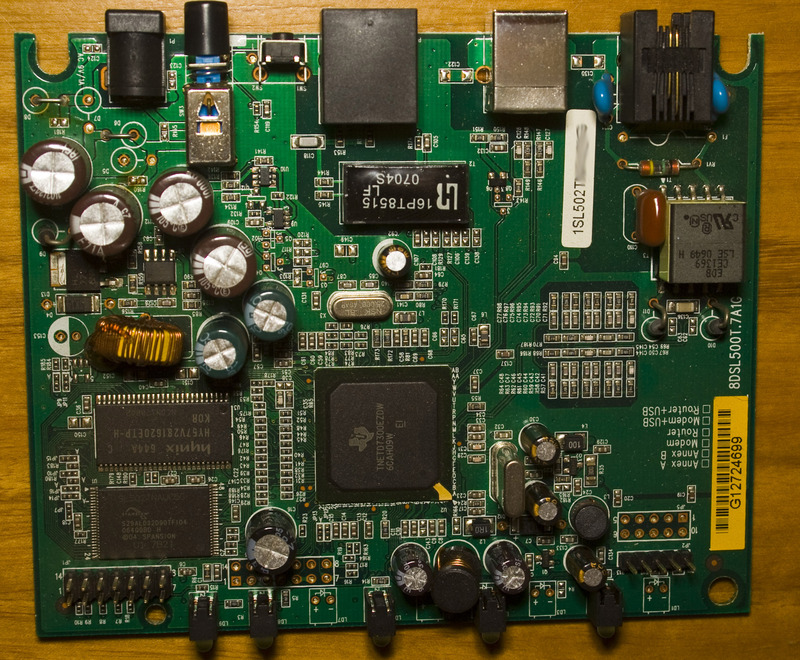 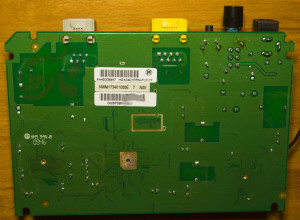 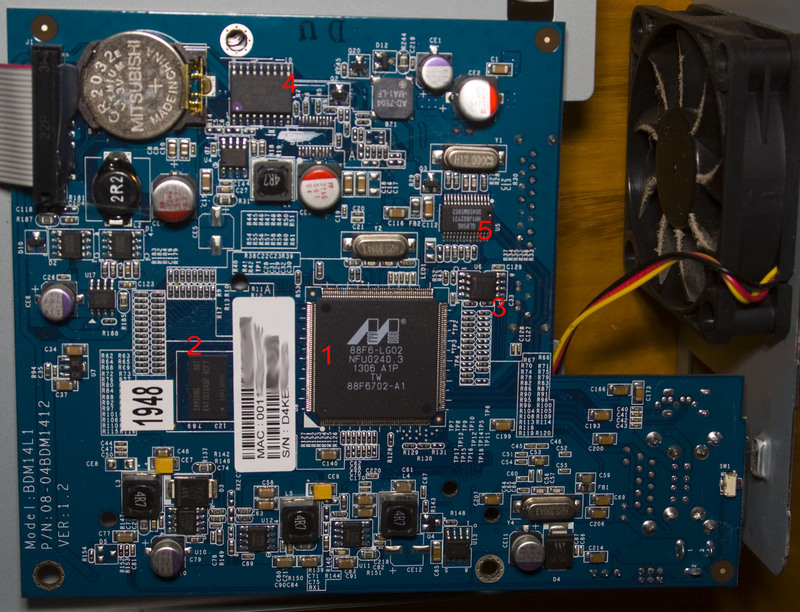 We’ve got our board with only a few major components so it’s a bit more modern than the last Netgear device we took apart. 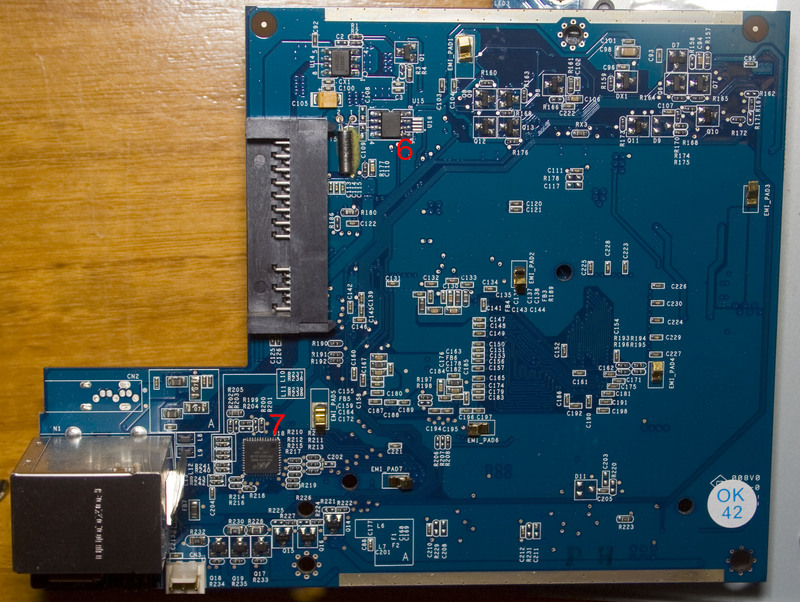 There’s a ribbon cable with a choke for the front panel lights and an external antenna, there’s the possibility of adding another antenna too. 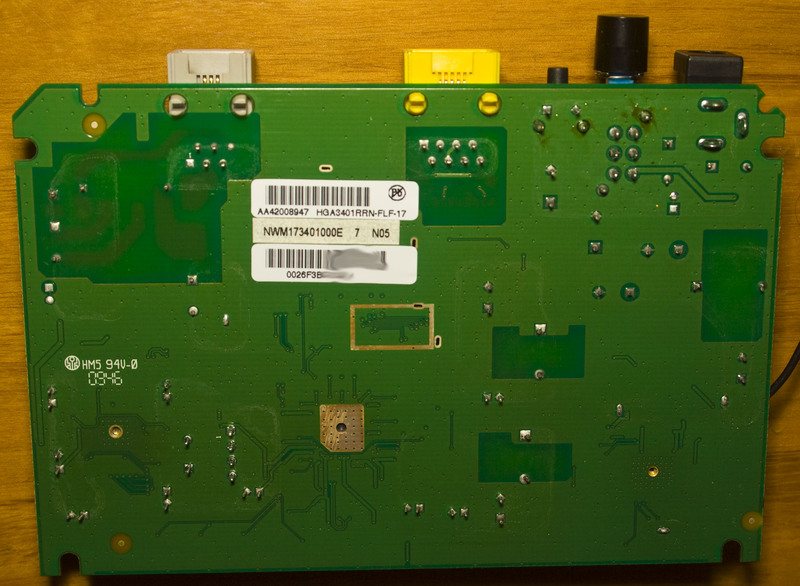 There is a MPS MP1410 SMPS with 3 smaller regulators. insideGadgets © 2019 All Rights Reserved. 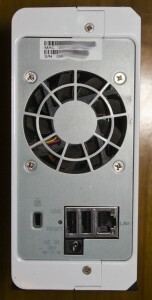 67 queries in 0.113 seconds.